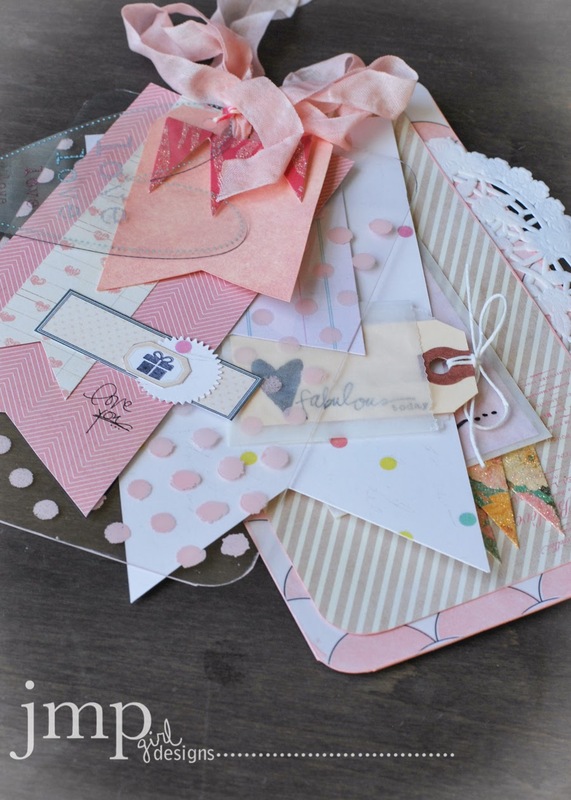 i am calling them pretty large tag cards. 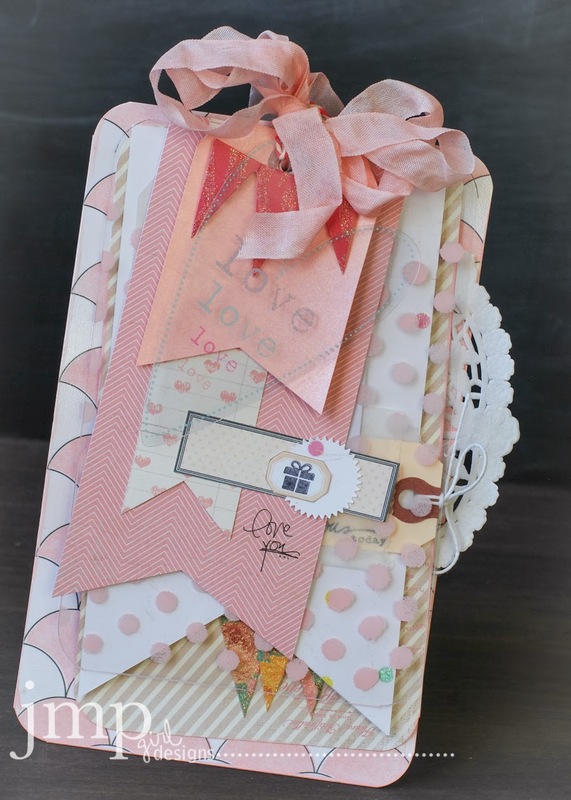 on a summer edition of my craft channel by heidi swapp, she shared a most gorgeous card. a tag card. a pretty large tag card. i swooned big time over that card. and i knew i had to take that inspiration and play around with it. thus was born my version of a pretty large tag card. about 5x7 if not larger. some i have made are six inches wide. 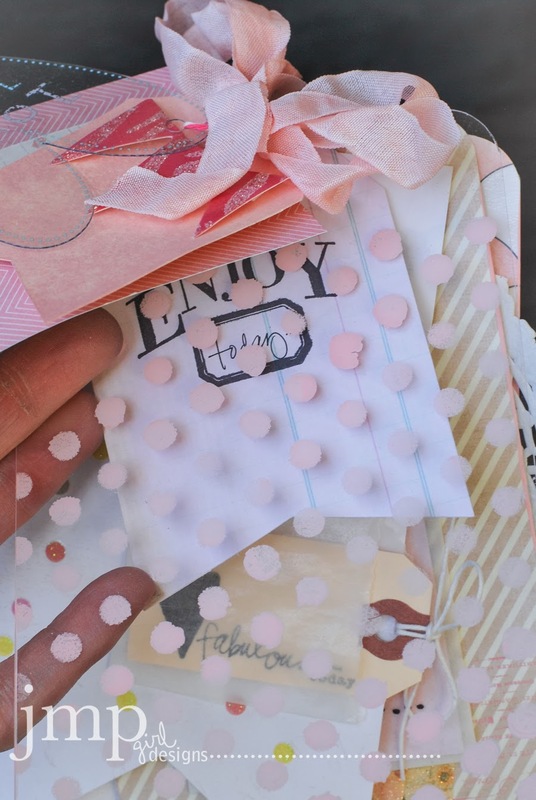 what i really really love about these tag cards is the layers of differing patterns and texture and color. i still had fun using differing shades of the same color. and that is what i think gives these tag cards their pop. you may or may not see this polka dot stencil showing up on all or a few of these tags i will share with you this week. because i love it!!! the polkas just make me happy. especially with acrylic paint used on the stencil. 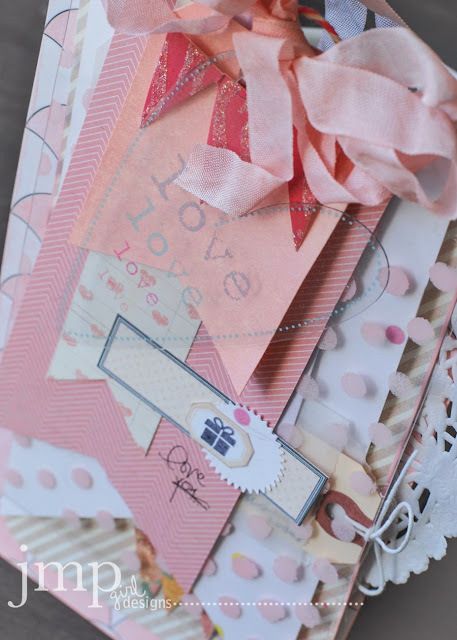 this tag card has lots of pockets and places to slip sentiments throughout. sort of a treasure hunt for the recipient. a pretty larger than normal card and sentiment i felt was in order. are you up to the challenge of pulling your favorite patterns and textures and colors together to make a pretty large tag card? if you do, please link me up...i would love to see what you. i will be back with more of these this week. supplies: Color Magic Resist Paper. Vintage Chic Pattern Paper. Serendipity Paper Pad. Vintage Chic Notes. Clear Pop Tags. doily. Banner Delights. mini glassine bags. 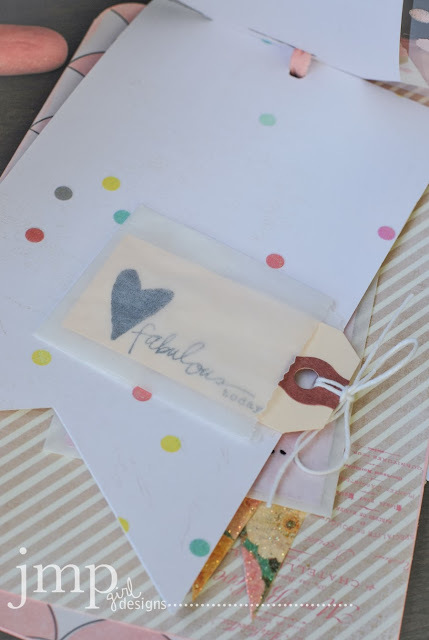 mini shipping tags. label from the Mixed Company Memory File Kit. Color Shine Blush. 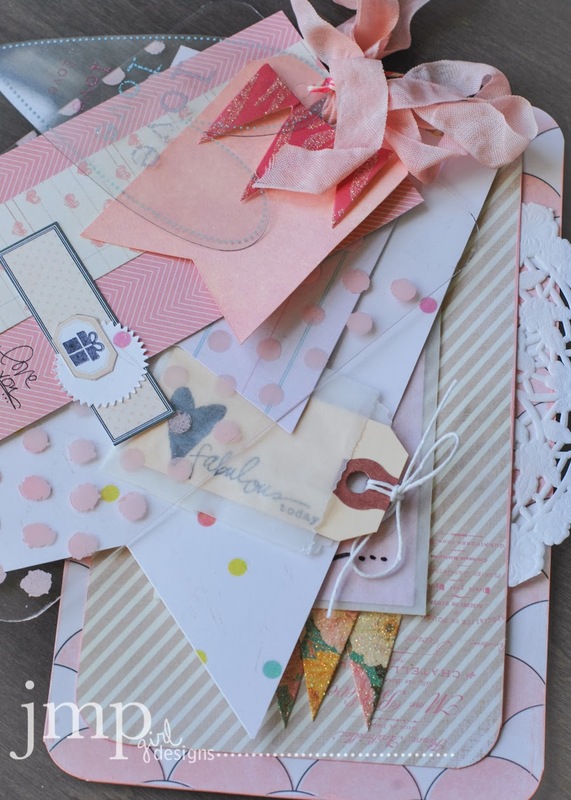 Pink Paislee Sentiment Stamps. The sentiment on the tiny tag, is it a stamp or rubons?? if you are referring to the 'fabulous', it is a stamp. from Heidi Swapp/Pink Paislee.